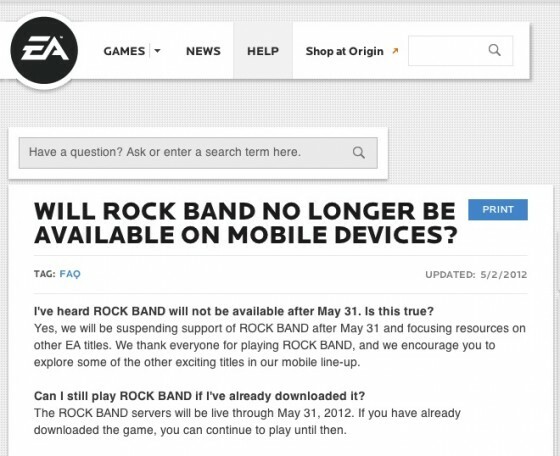 The iOS version of Rock Band will go out of tune forever on May 31. Users have spotted the image below when they try to play the game. EA has confirmed the news in its help forums that the servers underpinning the game will go the riff boneyard on May 31. In case the company does a naughty, we took a screen shot of the message. Go ahead and change your password anyway, but not to "correct horse battery staple"